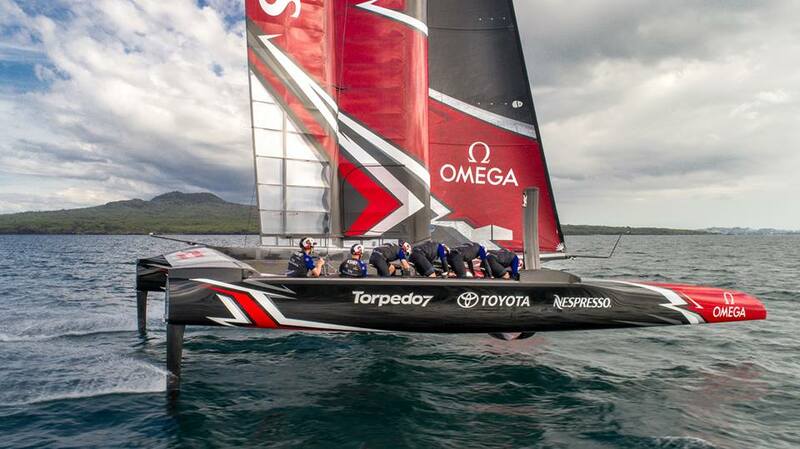 In the 2017 America’s Cup, the Emirates Team New Zealand introduced stationary bikes instead of hand cranks to power the hydraulic system that steers the boat. Because our legs are stronger than our arms, pedal powered ‘grinding’ allows for quicker tacking and gybing in a race. 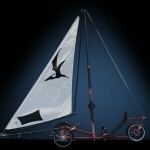 The innovation could also be useful to reduce the required manpower for a new age of sail. 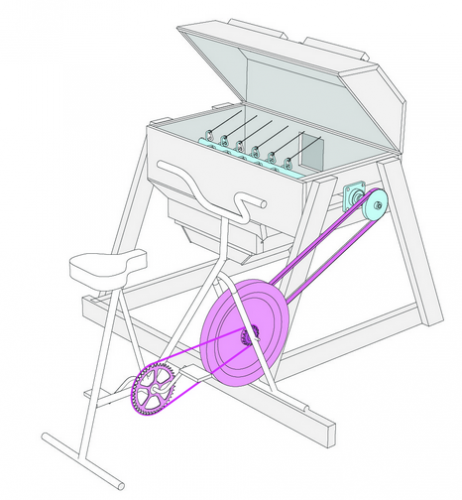 Farmhack has complete instructions for making a bicycle powered thresher. 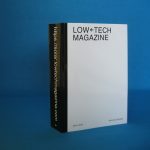 It works on various crops including dry beans, wheat, rice, rye, einkorn, and lupine, and threshes about one pound per minute. This is the first of three tools for small scale grain processing. 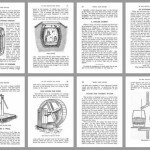 The other two tools are the bicycle powered fanning mill and the bicycle powered de-huller/flour mill. 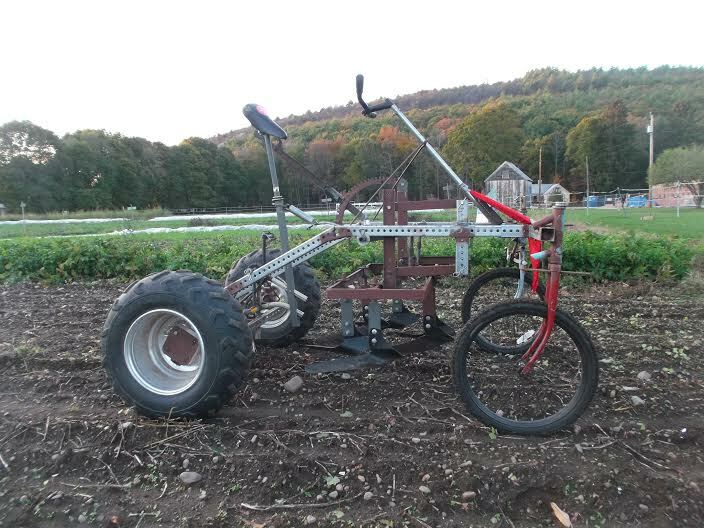 Unlike some “hacks” for small farmers, the Grain Bikes don’t solve an acknowledged problem so much as create new opportunities for small farmers. Dry beans and grains are non-perishable, can be sold, eaten, or planted to avoid seed costs (such as rye for cover crops), and, the labor for processing them can be shunted to the winter when more time is available. 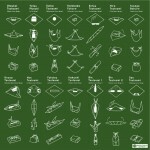 Find the manual at Farmhack. Tunnels offer faster journeys than bridges due to less climbing. Steeper gradients can be used than with a bridge because cyclists going into a tunnel first ride downhill and pick up speed which can be used to climb back out of the tunnel. Tunnels take up less space than a bridge because inclines are shorter. Tunnels offer protection from wind and rain. Picture: All crossings in Assen [The Netherlands] can be used without slowing down. This is one of the many cycle and pedestrian crossings of a major road. Four metre wide cycle-path, separate pedestrian path, gentle inclines, well lit and we can see right through for good social safety. Built in the 1970s, well maintained: last resurfaced 2012. 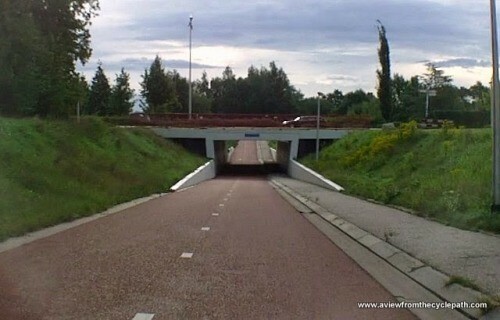 Quoted from a blogpost at “A view from the cyclepath”, which discusses Dutch standards for cycling tunnels and bridges. 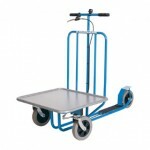 Think you need a car or a van to move large and heavy stuff around? Think again. This eight-wheeler cargo cycle features a 10 m2 bamboo loading platform and a 450 kg loading capacity. The chassis is based on that of a concrete mixer. The vehicle has four-wheel steering and independent wheel suspension. With two drivers it achieves an average speed of 10 – 15 km/h, which could be further increased by the use of electric motors. 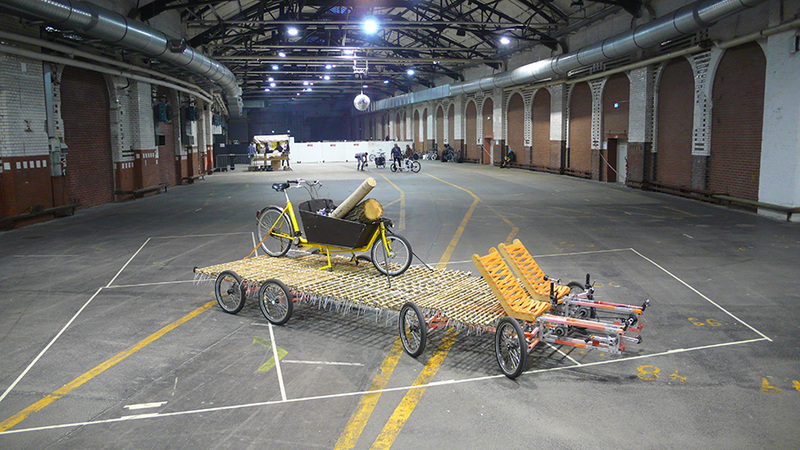 The cargo cycle was designed and built by Berliner Nico Jungel. Find more pictures and videos at his website. The vehicle was spotted at the International Cargo Bike Festival in Nijmegen, the Netherlands. See all pictures of the event (including more images of the 8-wheeler). Previously: Cargo cyclists replace truck drivers on European city streets.